Hands-on leadership is caringly given by the dedicated Owners/Directors Lisa Tripler and husband Dan Rapaport. Lisa has been connected to Kohut for over fifty years and has a deep commitment to carrying on its rich tradition of excellence in camping. Lisa grew up in the New York metropolitan area, spending many happy summers at Kamp Kohut where her father Trip Tripler was alternately the Waterfront and Program Directors, and her mother Elsebeth was Assistant Program Director and “Kamp Mom.” Lisa’s brother, Scott, was a camper and counselor during that time as well. Kohut was an all boys camp in those days, so alumni from those years may remember Lisa as the Fairy Princess in the play or the sole young girl around Kamp. 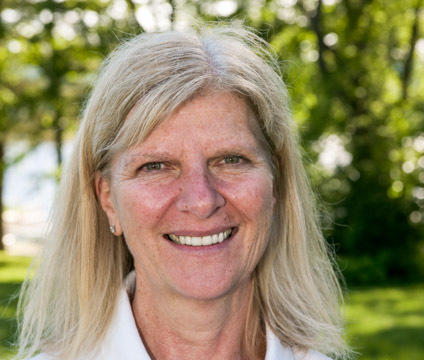 When Lisa was older, she went down the lake to work at Camp Fernwood, where she learned different aspects of camp as she worked her way up from Pantry Girl to Waterfront Director and Head Counselor. However, Lisa feels her most valuable experience comes from being a mom where she deeply learned how each child is different and special and little things make a big difference in a child’s eye. Lisa earned her B.A. with honors from Colby College, in Waterville, ME. She knew she loved working with children and wanted to make a positive difference in children’s lives, so she went on to earn her J.D. in Juvenile Law from the University of Maine. Her dream of changing the world one child at a time came true when she and her husband Dan bought Kohut in the fall of 1992. Passionate about her mission and the place which holds such fond memories, Lisa remains thrilled to have the opportunity to own and direct Kamp Kohut. She is committed to giving children and young adults a positive experience and an environment to grow, have fun, and tangibly improve self-esteem in a warm, supportive, nurturing setting. Dan is a Boston area native, and graduated Phi Beta Kappa from Colby College. At Colby, he was captain of the baseball team and sports editor of the Colby Echo. He earned his J.D. at Cornell University in 1978 and joined the firm of Preti, Flaherty, Beliveau & Pachios the same year. He is a former director of the Jewish Federation and a former Hebrew instructor on the faculty of Temple Beth Ha’am. Dan’s camp experience comes from happy summers at Ted Williams baseball camp. 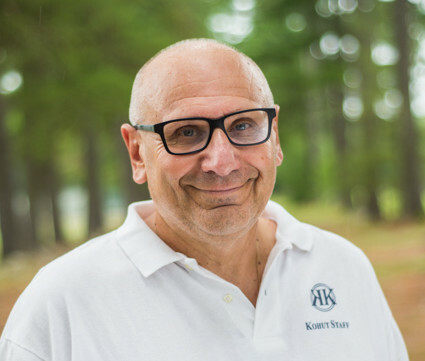 Although Dan is a very accomplished practicing attorney, he spends his summers at Kohut, lending a hand wherever needed, from coaching baseball to handing out evening snack to making announcements at flagpole. He has even been known to join a camper a capella performance in the Kohut Talent Show upon special request. Dan & Lisa have two daughters, Julie & Carly, who have been campers and staff members at Kohut. Julie, a graduate of Tufts University, is a senior studio executive and film producer in Los Angeles. Carly is a graduate of Colby College and after five years in educational recruitment, is working year-round for Kamp Kohut as the Staff Coordinator and Girls’ Head Counselor. When they are not at Kamp, Lisa and Dan live happily in Cape Elizabeth, Maine.